If you’re a fan of the Apple Smart Cover for the iPad 2, or cases that support the smart cover’s automatic sleep/wake function, then you may be interested in one of two new cases on offer from Marware. The Marware MicroShell Folio iPad 2 Case is a replacement for the smart cover that offers a very similar approach to the front cover but in a full case that also provides protection for the back of the iPad. The Marware MicroShell iPad 2 Case is a shell for the back of the iPad 2 only, intended to work in tandem with the Apple smart cover. Both of them look good, and I’ve had nothing but positive results with Marware cases for both the original iPad and the iPad 2 – see my recent reviews of their C.E.O. Hybrid iPad 2 Case and Eco-Flip iPad 2 Case for my thoughts on two of the better iPad 2 cases I’ve seen thus far. 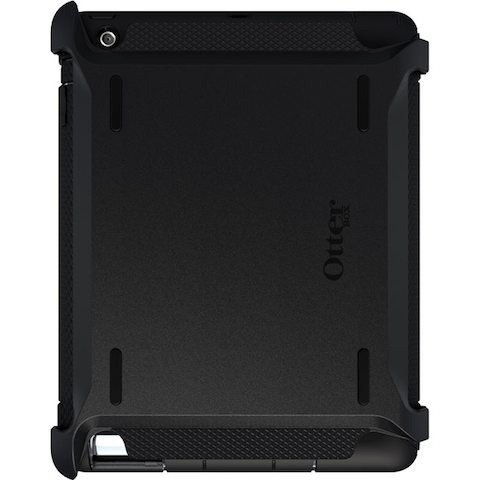 If you’re in need of real rugged protection for your iPad 2, then you should be happy to hear that the Otterbox iPad 2 Defender Series case is now available. Otterbox are the masters when it comes to above and beyond, hard as nails protection for iOS (and many other mobile) devices. The new iPad 2 Defender Series is part of their most rugged line of cases, that are built to withstand ‘just about any environment’. It’s got a shock-absorbing silicone skin and an inner polycarbonate shell with a foam interior that provides scratch protection for the back of the iPad 2. It allows for full access to all the iPad’s functionality while in the case, and has a clip-on cover for the iPad screen that doubles up as fold-out stand. It’s also 20% lighter than the version for the original iPad – which of course goes well with the lighter, thinner iPad 2 itself. The case offers protection against bumps, shocks, drops, and ‘dust intrusion’; it is not waterproof and does not protect against liquid damage. I’ve used an Otterbox Defender with my iPhone 4. I found it surprisingly light and also found it surprisingly easy to use the iPhone just like normal while still having such heavy-duty protection. While my iPhone may come along when we’re out on a beach or at the lake, I don’t ever expose my iPad to any higher risk environments – so the Defender Series is not on my list of iPad 2 cases to get. For those of you who use your iPad 2 in rough work (or play) environments,this is likely to be a very good case option for you to look at. 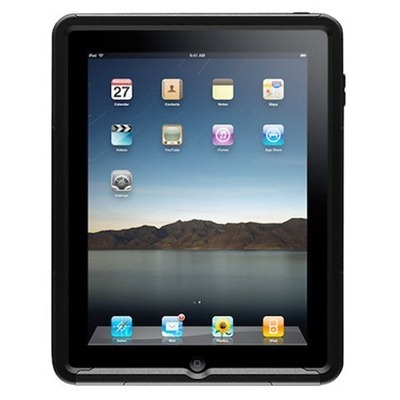 They go for $89.95 and you can check out all the details and place orders at the Otterbox page for the iPad 2 Defender Series. I spent my first few weeks with the iPad 2 using only the Apple Smart Cover and screen protectors on front and back. Initially there was a major lack of third party cases for the iPad 2 – in Apple and other retail stores and even online. Over the last few weeks this situation has improved a great deal and I’ve found a number of promising iPad 2 cases online. 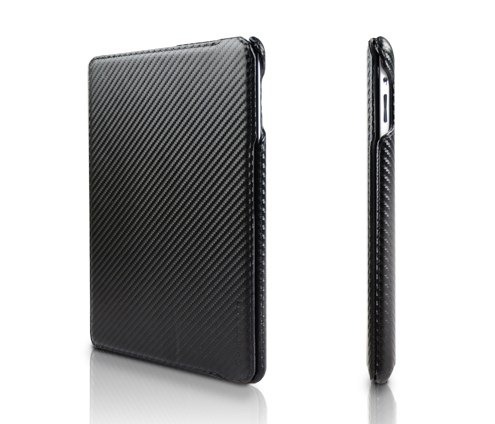 The Mivizu Sense iPad 2 Leather Case is one of those. I had never heard of Mivizu before until a reader mentioned this case and it looked interesting enough to try out. Honestly, I had low expectations with such an unknown name. Well, I’ve been using this unknown darkhorse of a case for a couple weeks now and I have been very pleasantly surprised at how much I like it. 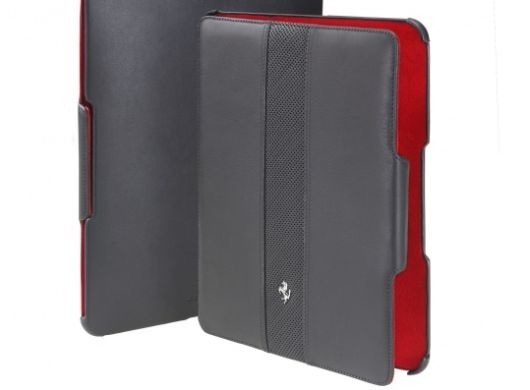 TUAW’s mention of these Ferrari iPad cases caught my eye this morning. They are made of genuine black leather and are modeled on Ferrari car interiors. The red interior is another Ferrari signature, as is the prancing horse logo on the front of the case. These are only for the original iPad as far as I can tell. Though these are hardly at the low end of iPad case pricing, their $94 price tag is relatively inexpensive compared to a lot of iPad cases from luxury vendors. In fact, you could buy over 300 of these cases for all your close iPad friends before you match the price of the Ferrari Masterpiece brooch listed on the same page as this case ($29,791). — It smelled terrible, even my hands reeked of a strong chemical smell after handling it for just a short time. — The cutouts for the iPad 2’s ports and buttons were all done extremely badly – making it difficult to use the iPad 2 while in the case. — This case is listed as having support for the iPad 2 smart cover tech, so it can automatically sleep/wake the device. This feature did not work properly at all: The iPad 2 was almost constantly sleeping and waking when in this case. The merest touch on the case – even on the back of the case! – has the iPad 2 waking up or going to sleep. Shortly after posting my review I was contacted by someone from Xeniti, the resellers of the case. He said that the case I received was one of one only a dozen or so cases out of thousands shipped that had issues like I had seen, and he wanted to send me a replacement case to show me that these are generally better quality cases than the one I received. Of course I agreed to get a replacement and give it a look. I received the replacement case this morning and I’ve had a chance to give it a look and a tryout with my iPad 2. Sadly, the results are not that much better than with the first unit. Otterbox have got a 25% Off Mother’s Day sale going on for their cases for the original iPad. The sale is live now and lasts until next Sunday, May 8. Otterbox cases have a stellar reputation and are always amongst the best rugged / full-protection cases around for the iPad, the iPhone, and a wide range of other mobile devices. If you’ve been thinking about one for your V1 iPad, now is a good time to give them a look. For more details on the sale or to place an order, visit the Otterbox page for the original iPad. I should start here by admitting that until reader Joanne mentioned them in a comment on a post about another case, I had never heard of Mivizu at all. 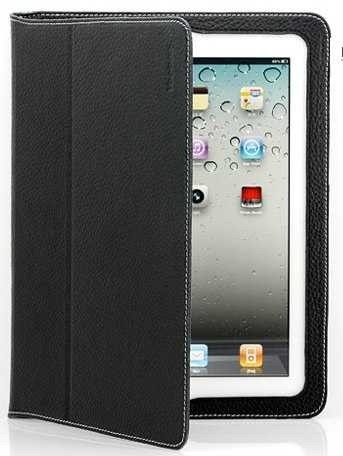 She mentioned this Mivizu Sense iPad 2 Leather Case, and I went and took a look at the web page for it. 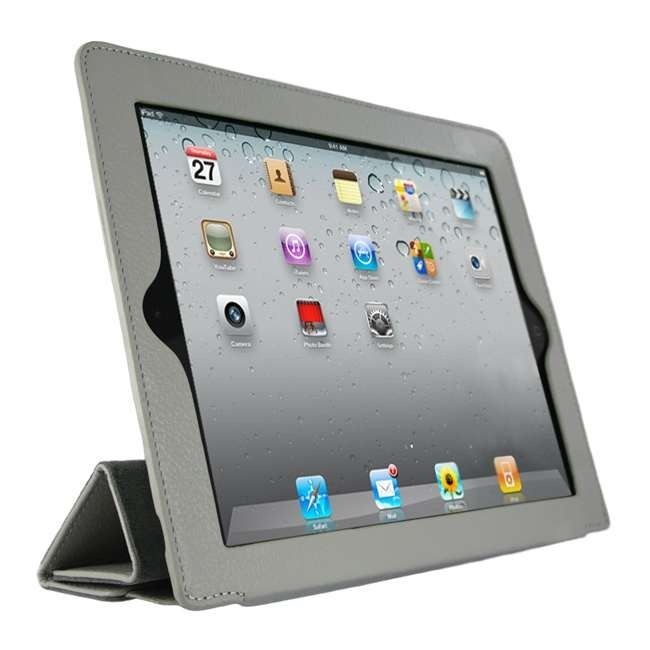 The case offers smart cover tech support (for the automatic sleep/wake function for the iPad 2). Honestly the case didn’t excite me much and it was from an unknown (to me at least) company – but it was attractively priced and seemed worth a look, so I ordered one. And boy am I glad I did! I just got the Mivizu Sense a couple days ago but I am very pleasantly surprised at a what a good case this is. I love its light shade of gray, its leather feels ultra-soft and padded and just very nice to touch and hold. The smart cover sleep/wake function works well and the case is a pleasure to use so far. I had low expectations for an unknown name and a $40 iPad 2 case – so far this case has far exceeded them, and really looks great. I’ll do a review when I’ve spent more time with the case, but it’s safe to say first impressions are very positive. The Marware C.E.O. Hybrid iPad 2 Case seems to have just about everything going for it in terms of what I’m looking for in an iPad 2 case. It promises all-round protection, smart cover tech support (for automatic sleep/wake of the iPad 2), and is attractive looking. It’s the second Marware iPad2 case I ordered – it would have been first if I would’ve realized sooner that it offered the smart cover tech. I’ve been using the CEO Hybrid (I hope you’ll forgive me for rendering it without the periods between letters in the rest of this post) on my iPad 2 constantly for about a week now and it’s certainly an impressive case. In these first few weeks since the iPad 2 launched it has been relatively hard to track down good cases for the new iPad. Apple stores are not carrying any 3rd party cases at all yet, and other retail outlets (AT&T, Verizon, Best Buy, Target et al) have very slim pickings or none at all, at least here in Austin. Ever since I discovered how much I like the Apple Smart Cover for the iPad 2, but also how much I dislike its lack of full protection and inability to play nicely when folded back in use, I’ve been searching for a case that offers the best of both worlds. 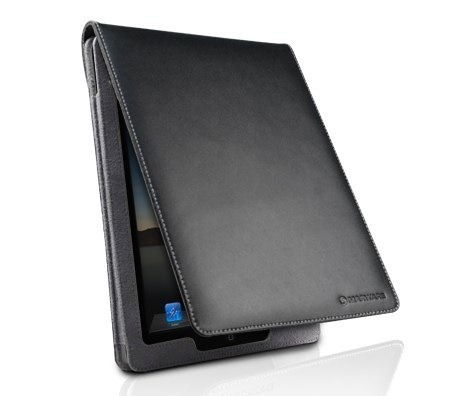 An iPad 2 case that offers full protection and also full support for smart cover features. 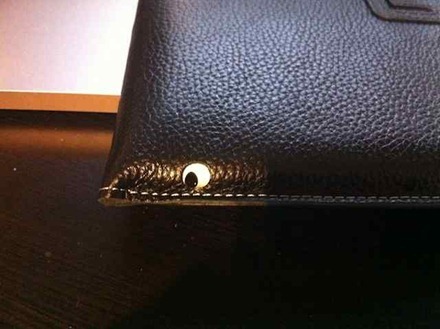 One of the first I spotted that claimed to fit the bill is the Yoobao Executive Leather Case for iPad 2. At $39.95 – ordering via XenGadget – it’s nearly 50% off the price of the Apple Smart Cover for iPad 2. So I ordered one, and yesterday it arrived. 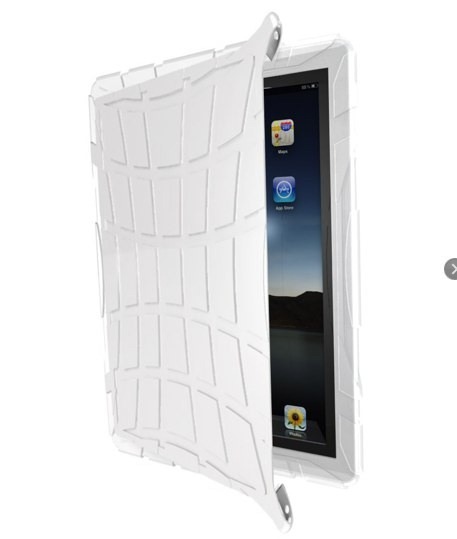 Hard Candy have announced a new line of white cases for the iPad 2. 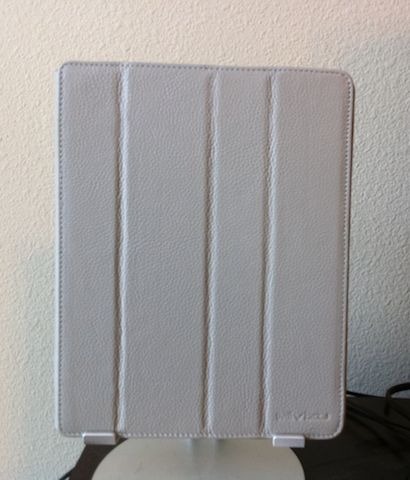 There’s a white convertible case, a white bubble sleeve style case, and the one shown above – the iPad 2 Street Skin. They’ve even got a white iPad stylus on offer. I could see this one having some appeal, especially for those who have a white iPad 2. The Street Skin goes $39.95 and is available for pre-order now. It’s expected to ship on May 1st.